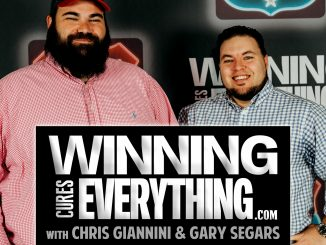 Gary and Chris kick off this week’s episode with a college football preview and predictions for their hometown team, the Memphis Tigers. After that, the guys jump into The Ranking. This week’s Top 10 list is CFB uniforms. Traditional or new age? Everything is represented here. Next up, the guys jump into both divisions of the Big 10, and go through records, over/under win totals, and some news & notes about all 14 teams in the Big 10 East and West. 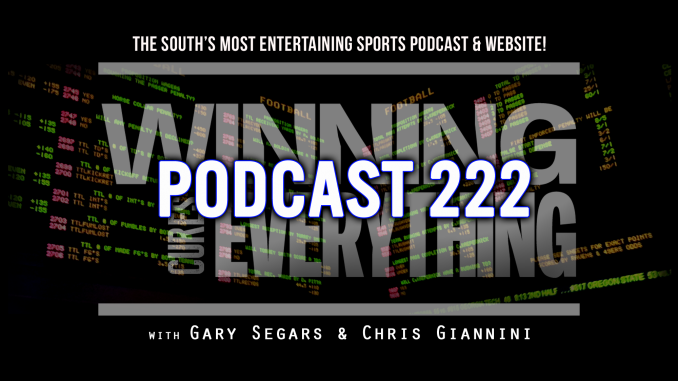 – when is Chris coming to Mississippi to check out the new sportsbooks down in Tunica? – Was there a concerted effort to get back to a campus location as opposed to one of the many neutral site locations for week one, or did the schedule just work out that way? – the opening line over the summer for Notre Dame vs Michigan was Notre Dame -6 or -7. It’s now Michigan -3. Is this normal for an opening line to move that much? – What brought on last year’s trip to Times Square in NY, and would he imagine College Gameday will be doing more shows from non-game sites in the future? – Does ESPN have a list of games already for the entire season that you’re watching closely for College Gameday to possibly visit each season? – Who are some teams, outside of the major favorites, that people need to pay attention to in the playoff race? – Who is our Group of 5 team that’s going to make a New Year’s 6 bowl? – The Bear has season win totals he loves. 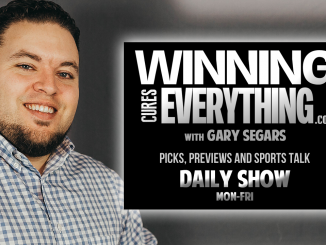 – How much of an impact does Urban Meyer’s situation at Ohio St impact their win total, national title and Big 10 championship odds, and just game lines in general? 2018 Memphis Tigers Football Season Preview & Predictions! 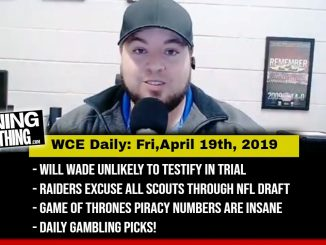 WCE Daily: 4/19/19 – Will Wade unlikely to testify, Raiders excuse scouts, GoT piracy, daily picks!